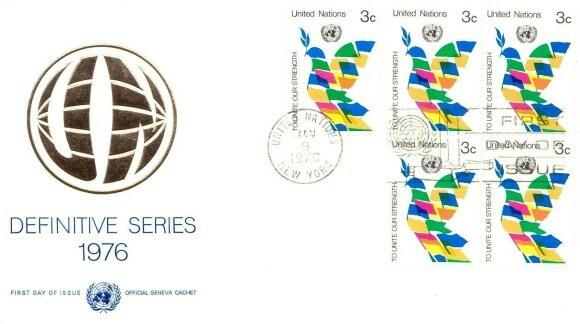 Birds, Definitive Issue First Day Cover, United Nations in New York issuing office, postmarked on January 9, 1976. 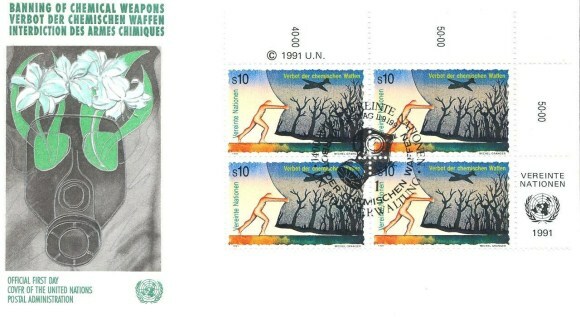 Aircraft, Chemical Weapons First Day Cover, United Nations in Vienna issuing office, postmarked on 11/9/1991. 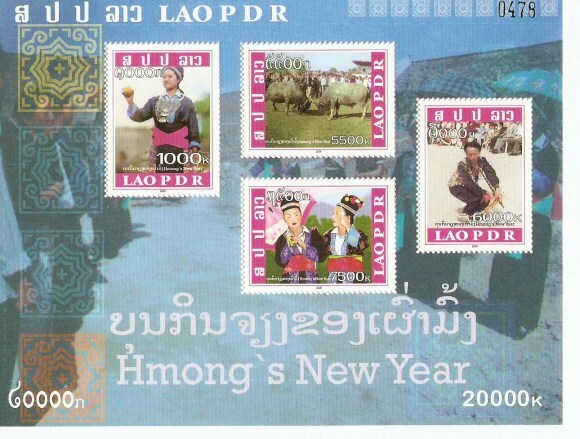 New Year of the Hmong People Miniature sheet issued in 2008. 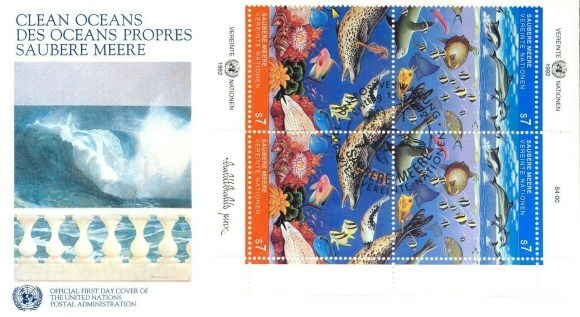 Dolphin, Ocean, and Shells First Day Cover, United Nations in Vienna issuing office, 13/03/1992. Wat Xieng Thong Luang Prabang postcard with Wat Si Muang Lao stamps postmarked on March 04, 2011 at Wattay International Airport in Vientiane, Laos. 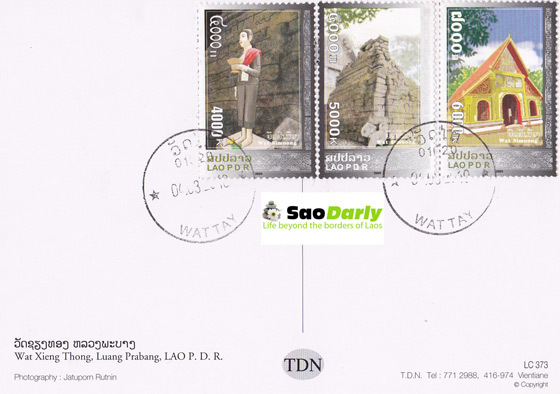 Wat Si Muang set of stamps was issued in 2009.